It was cold a few weeks ago but today it's getting a little hot. I could tell by the sun light outside my window that it is about to be summer soon. Refreshments, they come in various shapes and sizes. We only bother to sometimes get a drink or two on the fridge without even taking a look at the label. That is pretty dangerous because you might end up either taking too much sugar or no nutrition at all. Can we stop and #ThinkAboutYourDrink for a while? 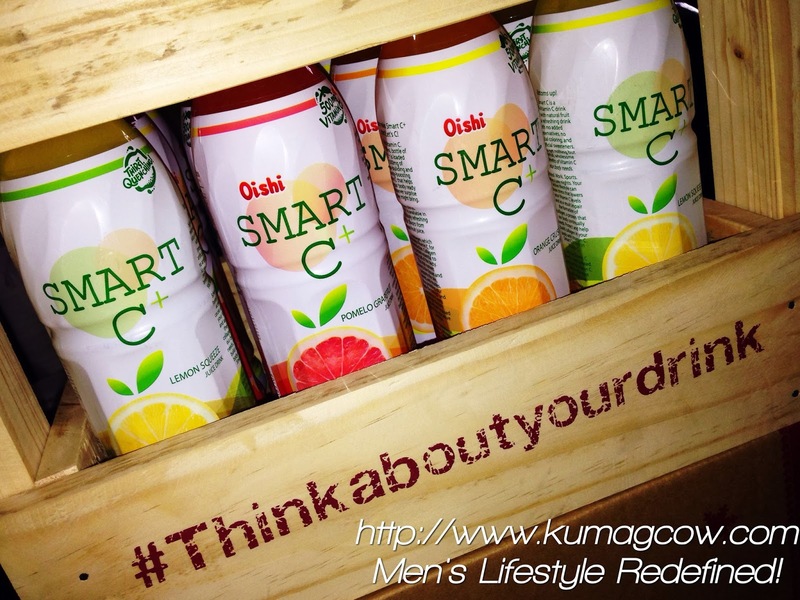 Well, there are a lot of choices out there that can pass off as a smart one like SMART C+. When I saw Slater Young on TV, he made a really strong point on why we're having just drinks when we can actually get it with the daily allowance of Vitamin C. That is smart. With this in our bodies, we won't have to worry about getting sick because I believe that prevention is better than cure. 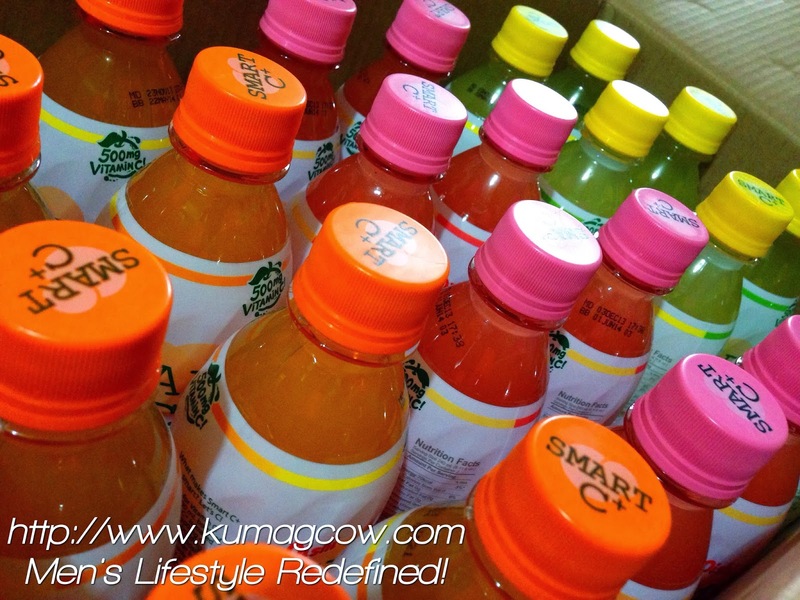 Smart C+ is my bottle of choice especially this season. With three great flavors like Lemon Squeeze, Orange Crush and Pomelo Grapefruit you'll get your needed 500mg of Vitamin C every day. I specifically like the Pomelo Grapefruit more because its light and not too sweet, my Dad loves the lemon squeeze (with Vitamin C content equivalent to 11 lemons!) because of its tangy and mildly sweet flavor. Mom on the other hand wants the Orance Crush more because its so good and really refreshing when its really really cold. Each serving of these bottles come with REAL fruit juice, no added preservatives, no artificial color and no artificial sweeteners. It's also 0% fat and has got no cholesterol. If that is not reason enough to get them when you play sports, bring it to school or be your choice drink when you need a break... 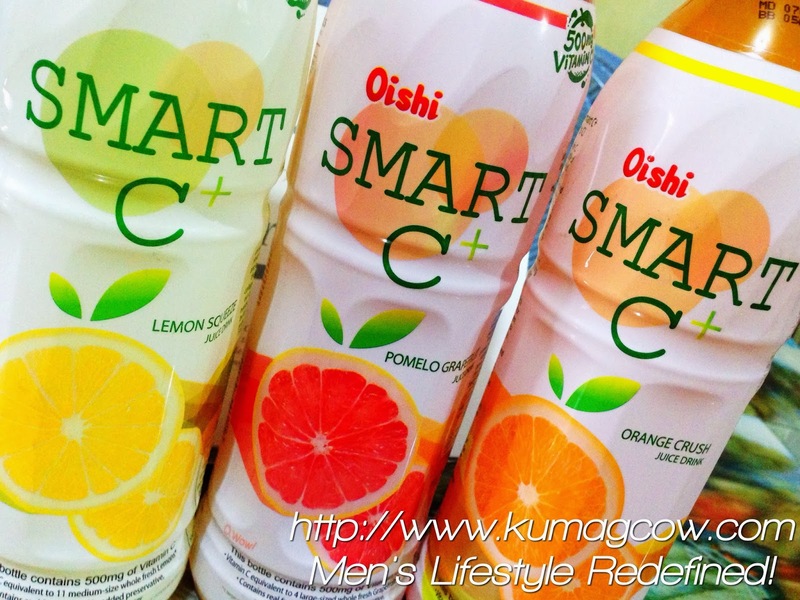 I don't know what else is better than Oishi's SMART C+! I already have a box full of it at home, now it's your turn to grab one in your favorite supermarkets or groceries nationwide!